Home / Exactlly HRMS / Why Employee Self-Service Boosts Productivity? Employee self-service (ESS) is usually offered as a web app and is integrated into an HRMS. 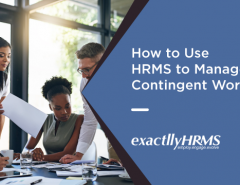 It allows employees to manage their own records, update information and do what they can as long as they can do it themselves, on the HRMS interface. This reduces the need for them to speak to HR professionals or seek their supervisors' help. What does an employee self-service system do? Updating address change, name, banking information and other things can be done by employees using the ESS. You could also choose to integrate leave management system within ESS or have just a few features of the leave management system embedded within ESS. This allows employees to seek and apply for leaves themselves, permission to grant which too can be automated. Moreover, a good ESS allows employees to access their payment, appraisal and other work related information without having to knock the doors of the HR department. For the HR, this should come as a welcome break as they will no longer need to update all this information or retrieve data and information for employees when employees as for it. Think about the number of precious work hours and money that is wasted in attending to minor requests and alterations that employees need. They can do all this themselves and they will enjoy doing it because they can get back to work quickly. If one just had to change their telephone number because they lost their previous phone, why must they contact an HR person? 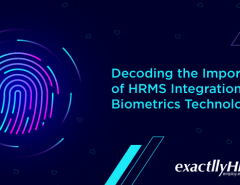 They could login to the HRMS tool and change it themselves. That's what ESS does. Time saved and money saved leads to more resources freed up. HR professionals can use this time and energy to get to know their employees better and motivate them in person. 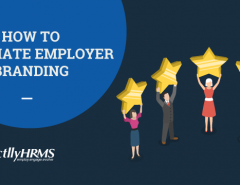 Instead of wasting time over entering minor details, they could use that time to finish up more important tasks which also includes engaging employees and motivating them. When you ensure that your employees' privacy and safety are taken care of, they will probably less anxious about their banking details being stolen and other inadvertent happenings. Reduction of stress also means that their productivity is boosted. You would not have to worry about unauthorized people gaining access to employee records and information. Only authorized managers and the particular employee will have access to such information. Employee self service boosts productivity precisely because it frees up resources and automates tasks. When precious resources are freed up, they can be used to focus on more pressing issues. Automating also reduces costs and makes things quicker. This too leads to a sense of being in control among employees. Ultimately, all that we want is to be productive and when employees have access to edit, change or retrieve their details, whatever that may be, they will feel more in control. This leads to confidence and a boost in productivity. 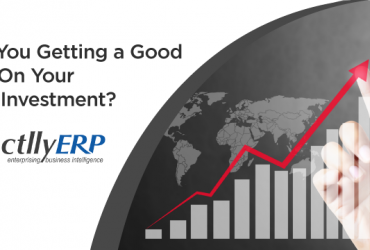 Previous Article Are You Getting a Good ROI On Your ERP Investment? 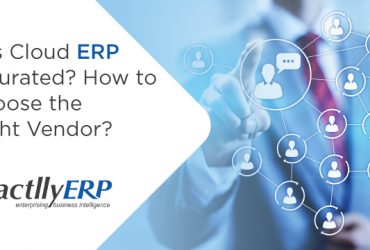 Next Article Has Cloud ERP Saturated? How to Choose the Right Vendor?